Websaver has a new coupon! 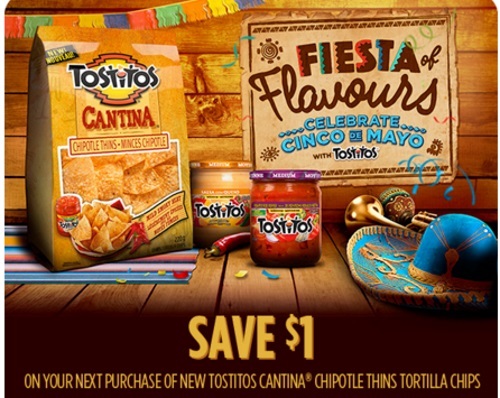 Save $1 off on your next purchase of new Tostitos Cantina Chipote Thins Tortilla Chips! Edit - The image that Websaver sent over says $1 off, but on Websaver I notice that it's $0.75 so I am not sure which one is correct.